Superintendent Granison is the third child born to his mother, Katherine and father Donnie Granison in Detroit, Michigan. From an early age, it was evident that there was something different about Pastor Granison. God’s hand was upon him. While growing up in a COGIC church as a child, Pastor Granison’s grandmother was his spiritual mentor. He knew of Jesus Christ and what He did on Calvary. However, having been in tradition and religion most of his life; when he grew older (like most young people) he stopped attending church. Thank God for the scripture, “train up a child in the way that he should go and when he is older he will not depart from it.” He moved to the twin cities in 1988, after completing twelve years in the United States Navy. Married to his high school sweetheart Brenda J. Granison since October 16, 1991. He is the proud parent of two daughters Daria BreAnn & Jazmine Nicole Granison. It wasn’t until the early ‘90s, when Superintendent Granison submitted to the revelation of God’s love. Elder Granison accepted his call to the ministry in 1994. He became an ordained Elder in the Church of God in Christ in August of 1999. Elder Granison served as the District Evangelist for the JWG WBW Metropolitan District & the #7 Agape District. In 2004 Elder Darrick Granison accepted his pastoral call under the leadership of Bishop Stanley Neil Frazier. In 2009 God had an even higher call for Pastor Granison’s life to become a Superintendent. He is the proud Superintendent of the S.N. Frazier Memorial District under the leadership of Bishop Fred W. Washington. 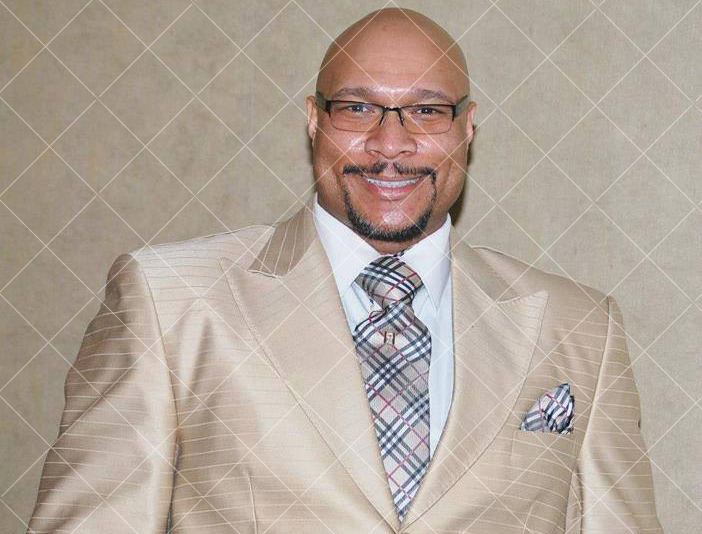 Now the Senior Pastor of New Creations Ministries, Superintendent Darrick Granison preaches and teaches a message of foundational truths with a determined, conviction that will allow all men to experience the power of God’s word – delivered in a simplistic fashion whereby you can apply it to your everyday living. As a true man of vision for this time, Superintendent Darrick Granison dares to practice a “NO LIMITS” principle for his life in building a kingdom that will edify Christ and promote deliverance and freedom in the name of Our Lord and Savior. He preaches a message that reaches beyond the masks of pride to revitalize and revolutionize lives by destroying the root and evidence of sin. His passion and love for God’s people is refreshing, his anointing is pure, his energy is unmatched and his testimony is real. His mission is to Pursue Excellence and defeat the devil no matter the cost.